You know thunder-snow, that well-known storm in a snowstorm, you know what we’re talking about? No? Okay, maybe you don’t, but we’ll do our best to fill you in on what you’ve been missing out on. A thundersnow is not a common occurrence, but it does happen on occasions. It basically replaces the rain in a normal thunderstorm and happens when the top of the clouds are much lower than usual. Thunderstorms tend to happen near bodies of water such as lakes and are most commonly found near the Great Lakes regions of Canada and the United States. They are often caused by the lake-effect, which occurs when strong updrafts find their way into the clouds, causing a large volume of snowfall. This tends to happen when cold air passes over comparatively warm water. Thanks to the acoustic suppressing ability of the snow, the thunder in a thundersnow storm can only be heard from much closer to the source. Typically, thunder can be heard from many miles away, but during a thundersnow event, it can only be heard from 2 or 3 miles away. The snowfall during a thundersnow event can be very heavy. Often the snow will fall at a rate of 5 – 10 cm an hour, which can severely reduce visibility much like it would in a blizzard. Further to the poor visibility, the winds are likely to be high, so you can expect to see no further than a quarter of a mile. With the freezing winds blowing you are more susceptible to get frostbite so it’s best to stay indoors at all times if you can during a thundersnow storm. Thundersnow storms are natural wonders but are deathly dangerous. Besides the risk of frostbite and lack of vision the lighting that accompanies these storms is considered to be far more devastating than regular lightning, it has a greater destructive potential thanks to being positively charged as opposed to the normal negatively charged bolts. As a result, they can carry as much as double the energy, which leads to fires being more likely when they strike the ground or structures. While no one has directly died from thundersnow, many have died due to the blizzard-like conditions that accompany the storm. Often people are involved in traffic accidents or get caught out in the cold and freeze before they can make it to safety. Further dangers in these conditions are snow avalanching from people’s roofs and heart attacks from shoveling snow. It was reported in 2015 that a bolt of lightning from thundersnow struck a house in the UK, which subsequently blew a hole in the side of it. 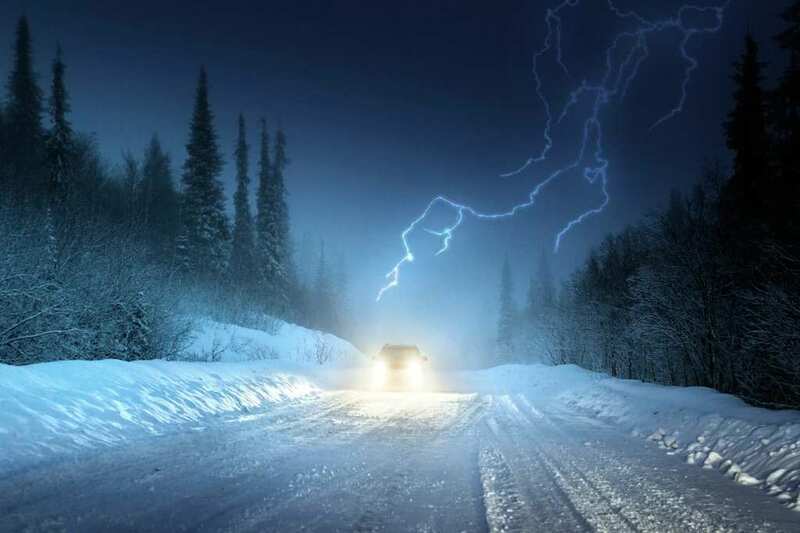 Thundersnow occurs mainly during March in the United States, but thunder and lightning in snowstorms can happen from late winter through to early spring. 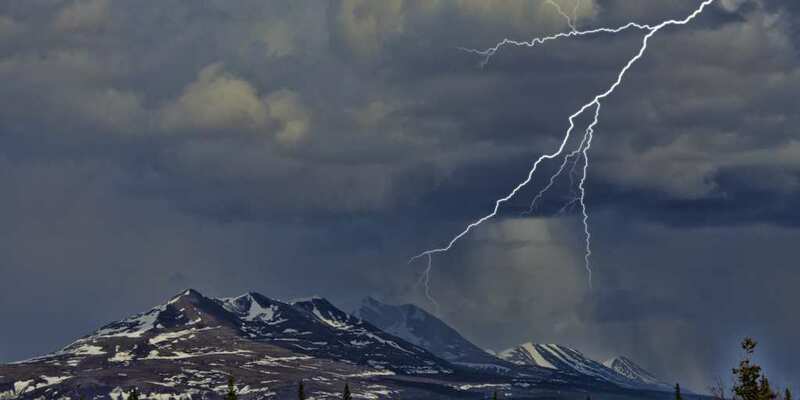 Thankfully they are pretty rare, and on average, about 6 events occur each year in the U.S.
That was some information on the natural phenomenon known as thundersnow. Hopefully, this has enlightened you and hasn’t put you off heading out in the snow if you need to. Thundersnows are rare, so you are very unlikely to get caught up in one.